The Lowertown Reading Jam will be presented on Monday, December 26, 2016, from 7:30 to 8:30 p.m. at the Black Dog Coffee and Wine Bar, 308 Prince Street in Saint Paul. All ages, no cover, donations welcome. Food and beverages for sale. On the 154th anniversary of the largest mass execution in the history of the United States, the hanging of thirty-eight Dakota men in Mankato for their role in the U.S. Dakota War, modern-day Dakota writers speak to Presence. We speak several generations after the U.S. Dakota War and the United States government’s expulsion of Dakota from Minnesota. We speak, even as we are often erased or misrepresented in mainstream media and culture. We are here. Please join us as we reflect, remember, and share. 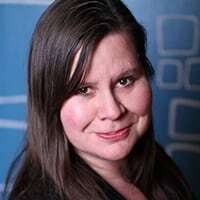 Colleen Casey is from Bdote and of Mdewakanton Dakota and European-American heritages. As such, she considers herself a person of crosscurrents and confluences. Because of intermarriage and mixed-blood status, her Dakota forebears were among the estimated 3–5 percent of Dakota people who were allowed to stay in Mnisota after the U.S. Dakota War of 1862. Colleen is a writer, artist, teacher, and community organizer who aspires to be the change she wishes to see in the world. She has enjoyed her role as Community Editor with the Saint Paul Almanac, She believes we are all related. A poet, an author, a public speaker, and an activist, Rosetta Peters is currently an undergraduate student at Century College pursuing an Applied Associate of Science degree in Horticulture/Landscape Design. She obtained her Creative Writing Certificate offered at Century College. 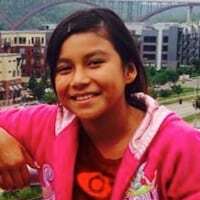 Rosetta’s plans are to continue on to the University of Minnesota where she will pursue a Bachelor’s of Fine Arts in Creative Writing with a second major in Native American Studies. She is excited to be a part of the revitalization of her ancestral language, Dakota, which is currently being taught at the University of Minnesota. She is of Yankton, Crow Creek, and Oglala descent. Rosetta hopes to learn the language and pass it on to future generations. She is a single mother of six beautiful children, four daughters and two sons. years old in 1862 when he was moved with his people from Fort Snelling to Nebraska, after the Dakota Sioux Conflict. Grandpa always told his family that he and his kin were direct descendents of the thirty-eight Isanti hung in Mankato 153 years ago. In the 1960s, his father, Richard Sr., was one of the organizers of the Alcatraz occupation and director of the then-budding L.A. Indian Centers. His father’s teachings and activism had a great impact on Richard’s art, traditional values, and activism. Richard is a poet, writer, actor, painter, traditionalist, and activist. Richard Jr. is also Chumash Californian Native and Chicano from his mother’s, Suzanne Johnson’s, bloodline. Nick Metcalf is Rosebud Sioux, columnist, writer, poet, and community activist who has worked, lived, and loved in the Twin Cities community for over 20 years. An enrolled member of the Sisseton Wahpeton Dakota, Thomas LaBlanc is a decorated Vietnam veteran and has traveled to more than 31 countries for the International Treaty Council, Indigenous Uranium Forum, and One People Foundation. His words are translated into more than 17 languages in 4 published books, 6 CDs, and lectures and performances that contribute to building a world where we use options other than war, racism, and classism to solve problems. Alexa Yankton is a member of the Spirit Lake Dakota. She is in the eighth grade at DaVinci Academy. Alexa is a community editor at the Saint Paul Almanac, a playwright, and the author of They Are Always Watching. She delights in hiking nature trails, traveling, and being with her family and friends. Alexa is a Pow Wow Princess and water carrier at ceremonials. 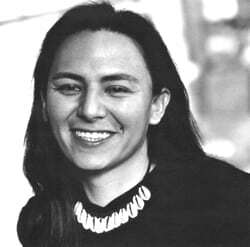 Lonna Stevens Hunter is from the Tlingit and Sisseton Wahpeton Oyate Nations. She is a passionate lobbyist, community organizer, radical feminist, and artist. She is a truth teller who stands for justice, and her integrity lies with aligning herself with the most vulnerable and marginalized in our world. Lonna is a storyteller of her people; she utilizes culture to heal the deepest wounds of her people, herself, and her family. Lonna’s past awards and honors include the 2006 Gold WATCH Award recipient, 2007 Minnesota Women’s Press Changemaker Award, 2008 Minnesota Women’s Consortium Woman of Distinction Award, 2012 Tribal Law and Policy Institute-Bonnie Heavy Runner Victim Advocacy Award, Center on Women and Public Policy Feminist Leadership Fellow with the Humphrey School of Public Affairs, and most recently in 2013 Lonna was awarded the Creative Community Leadership Fellow at Intermedia Arts in Minneapolis.